I have been a member of the BABC for the Philadelphia region since its inception 25 years ago. I have also been fortunate enough to have been a board member for many years and President on two separate occasions. I have met members of the British Royal Family, Members of Parliament and many other dignitaries. I have attended BABC international meetings and many delegates from British trade groups visiting our region. The BABC has given me the opportunity to network with many U.S and British-based companies and proves that as an organization, you get out of it, what you put into it. I would encourage anyone with cross-Atlantic business interests to get involved. –Howard Silverstone, Director, Forensic Resolution, Inc.
Deloitte is proud to be associated with the BABC. We have appreciated the opportunity to connect with others who also place a high value on the US-UK business connection. My colleagues, clients and I look forward to BABC events (always first class!) and the chance to network with leaders from government and business. 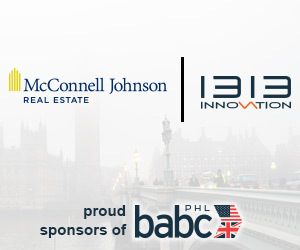 Our participation in the BABC is an important part of our involvement in the UK-US business. Our sponsorship of BABC events has been one of the most effective relationships we’ve had from a promotional standpoint. The return we see on our initial sponsorship investment is always substantial. BABC events like the Luncheon with Mr. Robert Walker, Group Chief Executive for Severn Trent Plc, and the seminar “Global Mobility” provide key visibility opportunities for the entire PricewaterhouseCoopers family. US Airways was proud to sponsor the Seventh Annual International Chamber Business Reception. We have been associated with this prestigious event for several years! This event provides us an excellent opportunity to showcase our product to a very influential and traveling audience. Always done in First Class style, the reception continues to attract more and more attendees every year. Congratulations to the BABC on another fabulous reception!